1. 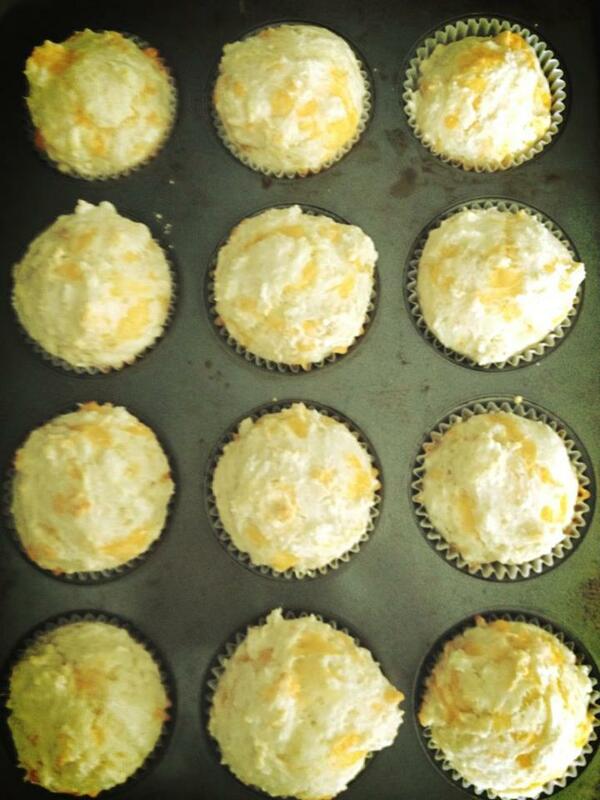 Preheat your oven to 350F and line or butter a muffin tin. 3. Add the cheese, milk, egg and butter to the dry ingredients. Stir to combine but do not overmix. 4. 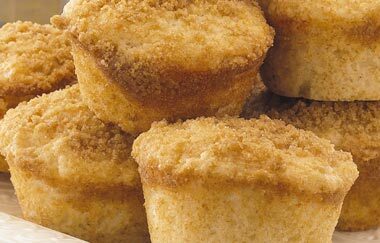 Spoon equal amounts into the 12 muffin cups and bake 15-18 minutes, until a toothpick inserted into one of the muffins comes out clean. 5. 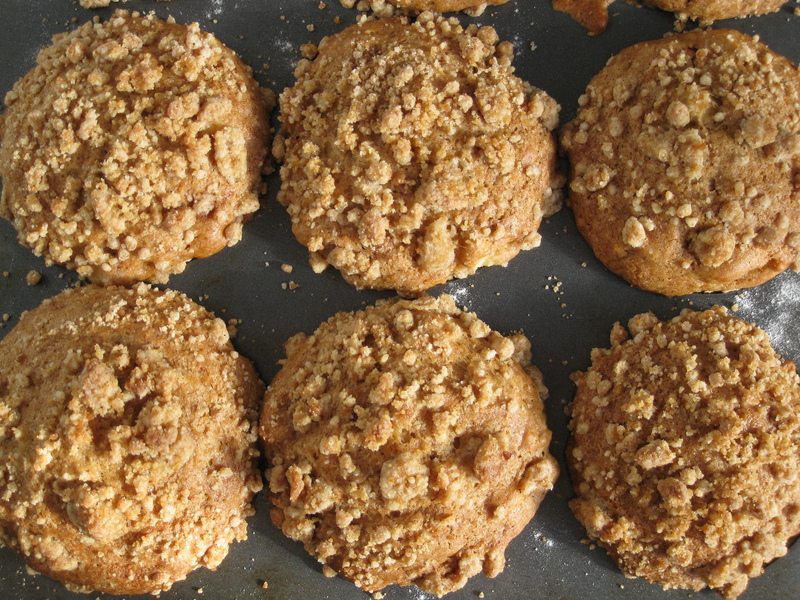 Allow them to cool for 2-3 minutes and enjoy! I was lucky enough to win a shopping spree at Chapters a year ago and one of the first things on my list was a plethora of cookbooks. They’re like crack to me. I bought books on baking, on Jamaican, Italian and southern American food and so on. One book that wasn’t initially on my list but has subsequently become my favourite cookbook of all time (sorry, Joy of Cooking. I’m sure this is blasphemy in many circles) is Julie Albert & Lisa Gnat’s fantastic Bite Me. This book pulls off the feat of not taking itself seriously – at all – while providing incredibly delicious, accessible recipes. I have yet to make anything from this book that did not meet with rave reviews. 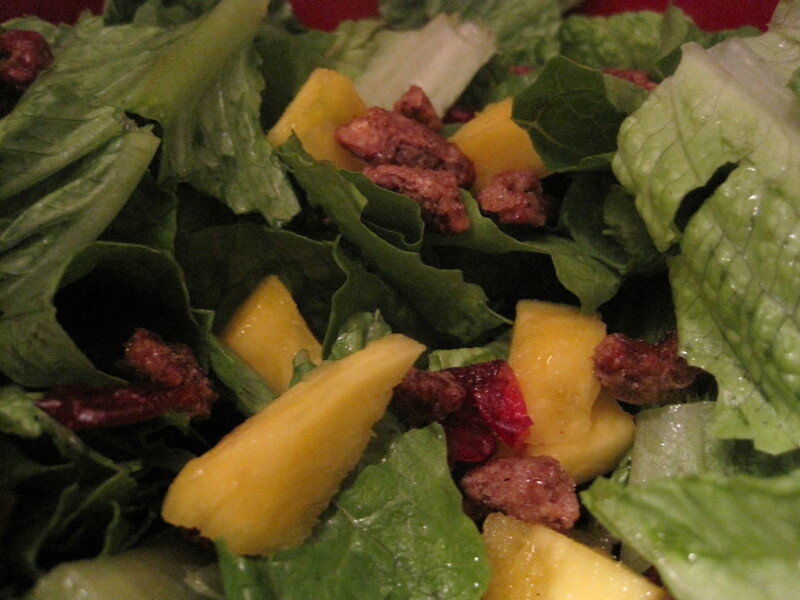 Their Cranberry-Mango-Toasted-Pecan salad (found here!) with Dijon dressing was an instant classic. Salads can be pretty blah as, let’s face it, they are often an afterthought. But I guarantee that no one will forget this dish. It takes a little bit of time to sugar the pecans, but the most work i nvolved in this dish is cutting up the mango…which takes all of 2 or 3 minutes. 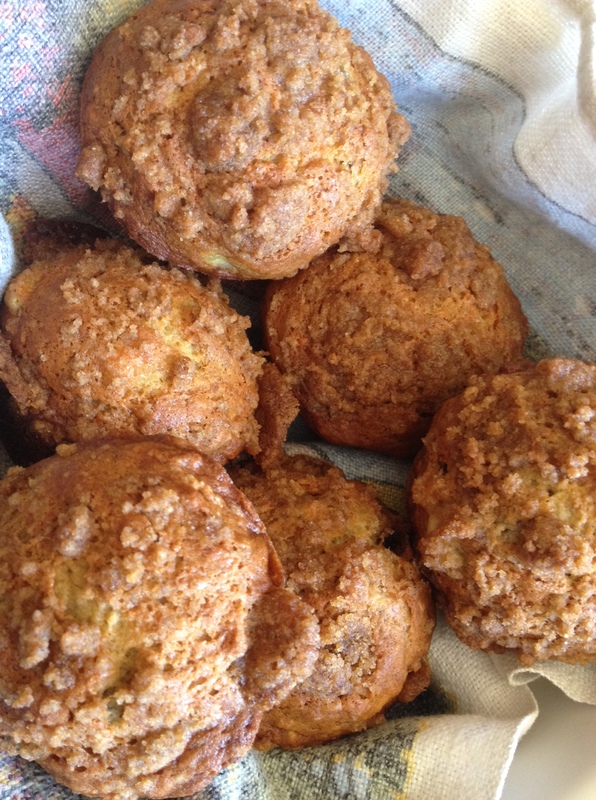 Equally winning were the Apple Muffins with Streusel topping that I brought to a friend’s birthday brunch. 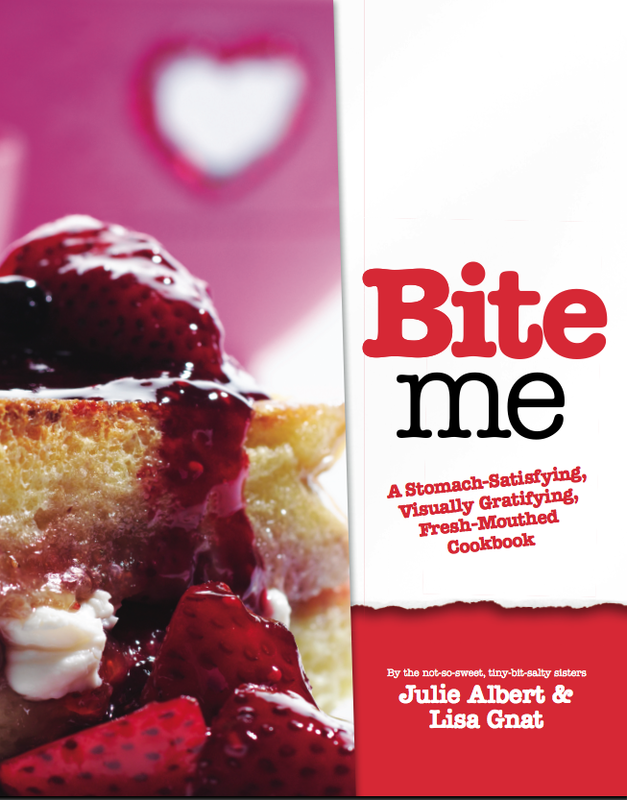 Bite Me is full of hilarious pictures, playlist suggestions for prep work, food quotes and, most importantly, page after page of flavorful, manageable recipes. I made the Herb-Encrusted Beef Tenderloin a while back which, unsurprisingly, came out beautifully despite my own timing issues. (Apparently converting cooking times isn’t my strong suit, but it all worked out in the end!) I can’t recommend it highly enough for cooks of all skill levels. My husband has promised me that he’s going to tackle the Chocolate-Crusted Creamy Caramel Cheesecake. 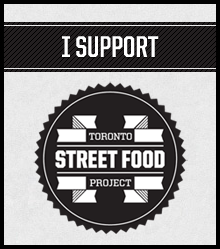 Given the success of the previous dishes, I’m sure it will disappear within hours.